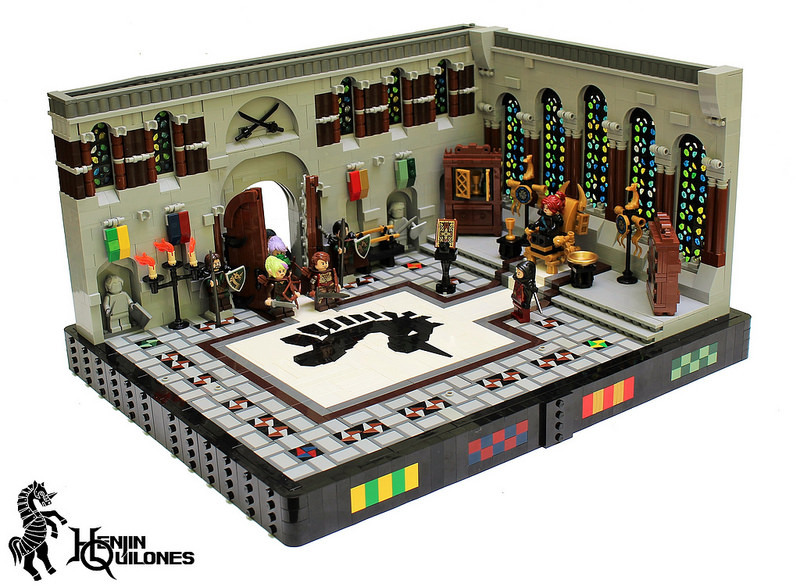 While this throne room by Henjin_Quilones looks great, knowing it is a redesign of another builder’s creation puts it into a whole new perspective. The creations are linked both in style and storyline, as Henjin stays true to the original while improving on it with modern pieces and techniques. On the other hand, there is a significant difference in theme, with the first version being menacing and evil looking, while the redesign has more of a normal castle interior appearance. The focal point of both builds is a central mosaic, which is especially intricate on Henjin’s version.